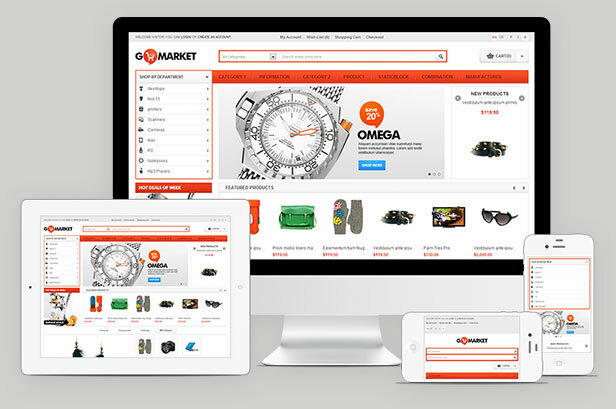 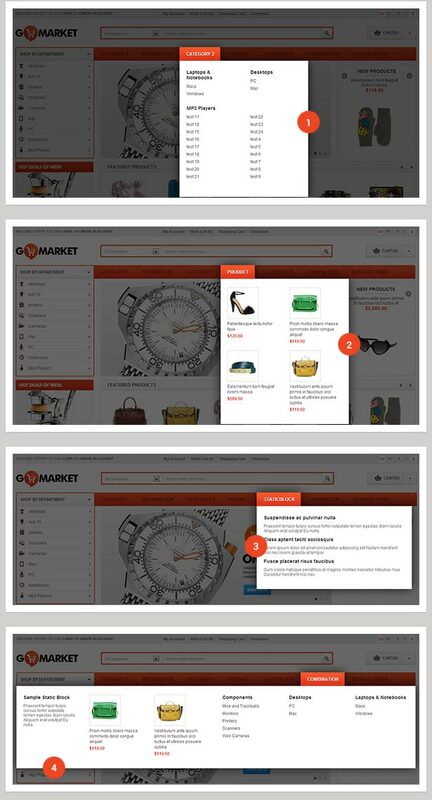 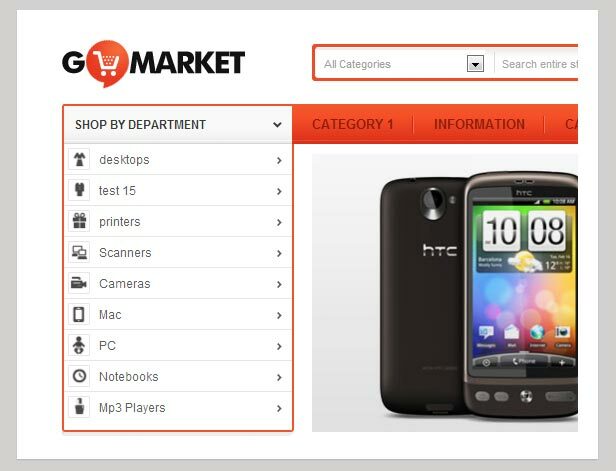 Bossthemes Supermarket GoMarket has a simple-looking, neat, clean layout with blocks of featured products, featured categories and promotions are well-organized on a white background. 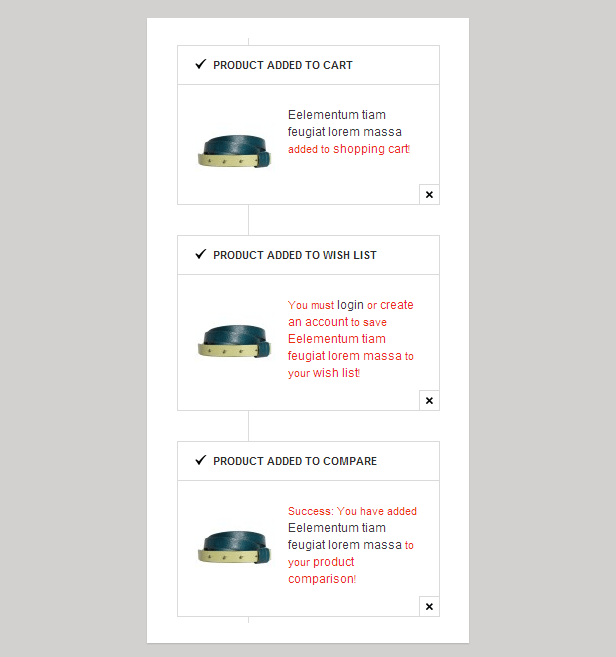 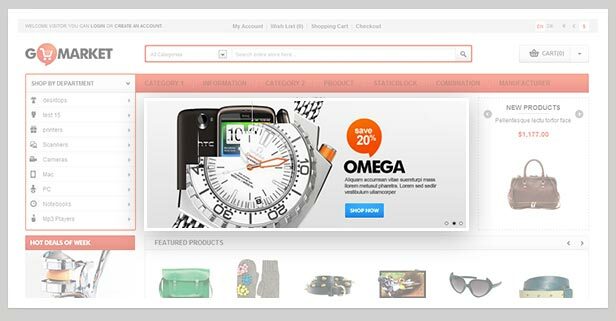 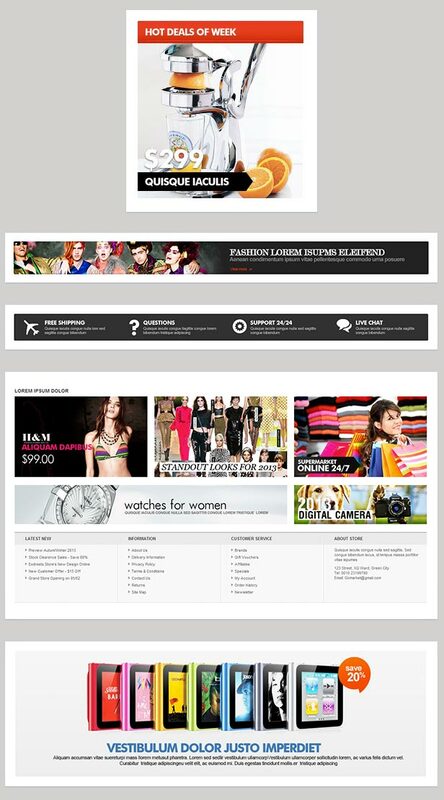 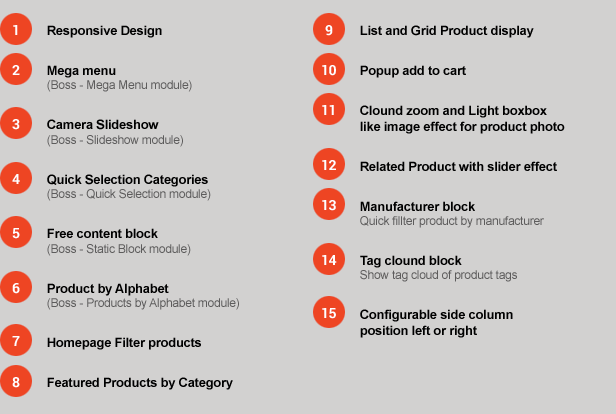 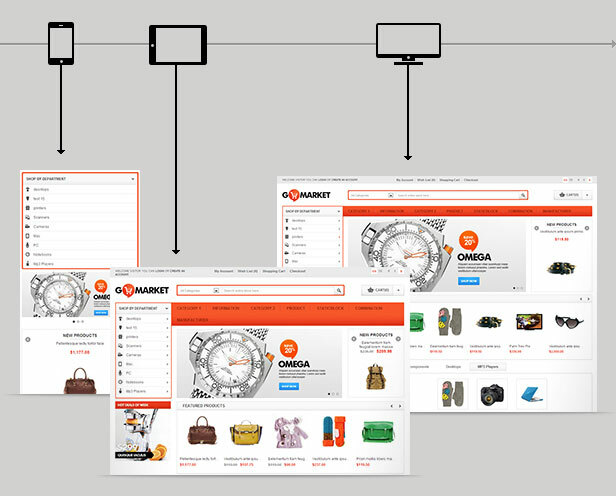 But this design is highlighted with many new and useful features, becomes one of the most powerful Opencart templates. 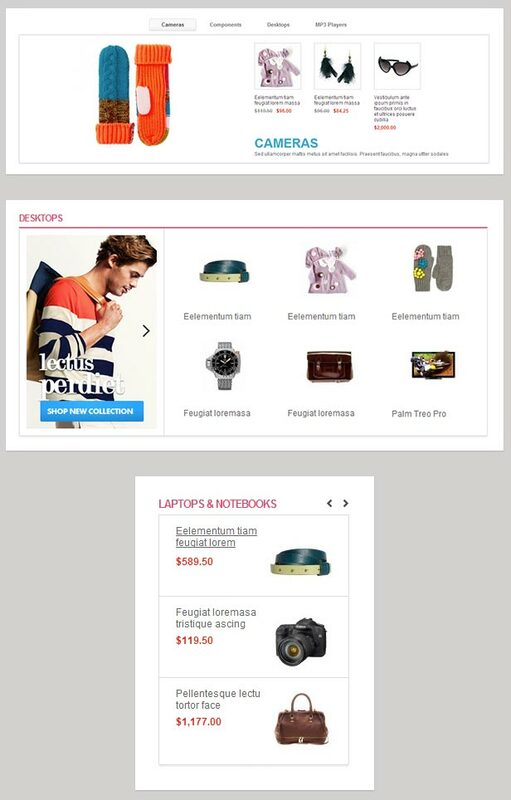 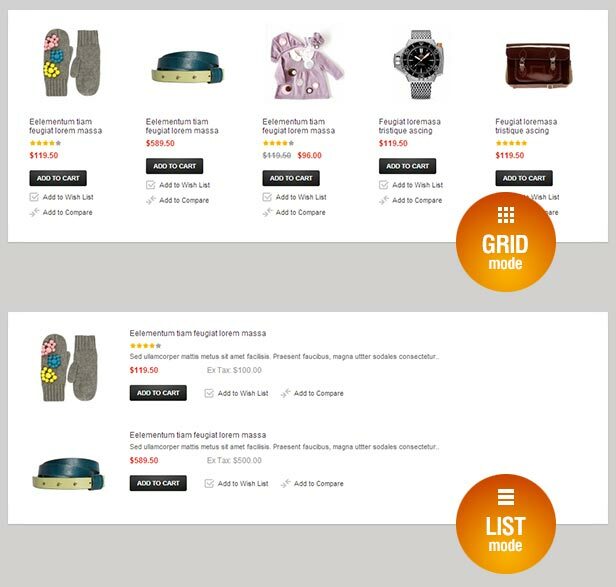 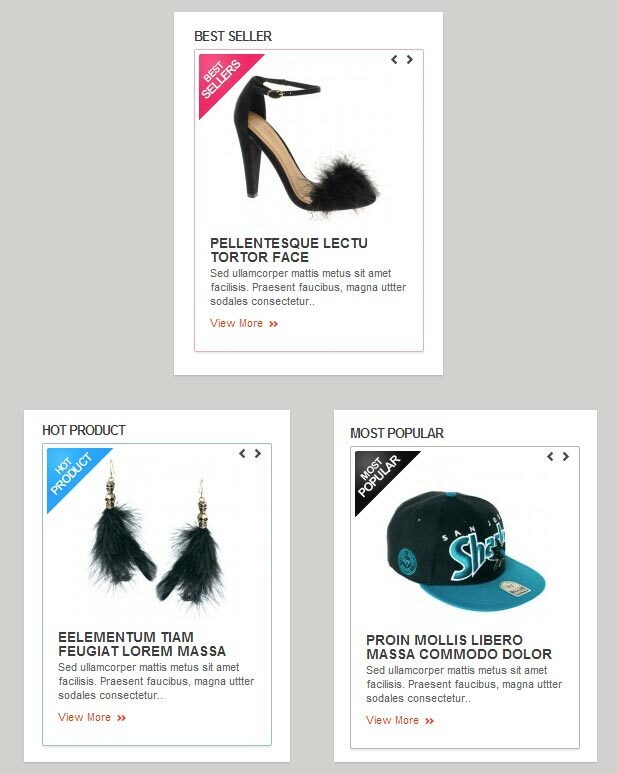 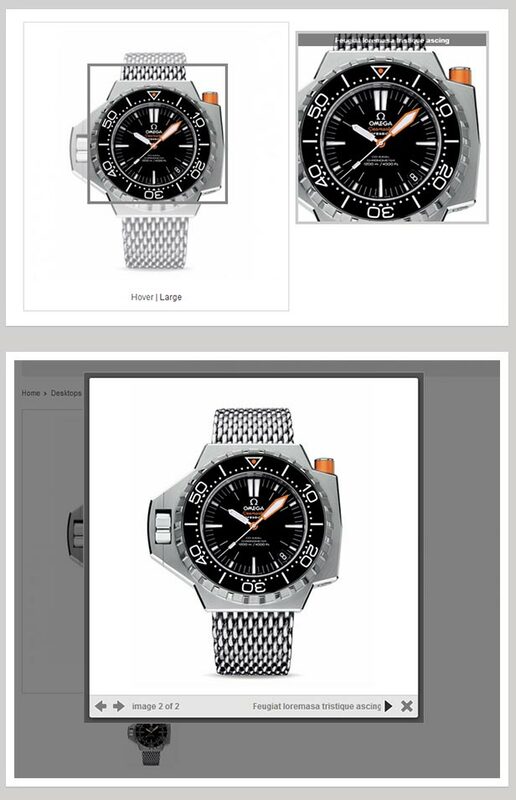 Showing filtered products (special, popular, bestseller products) in homepage. 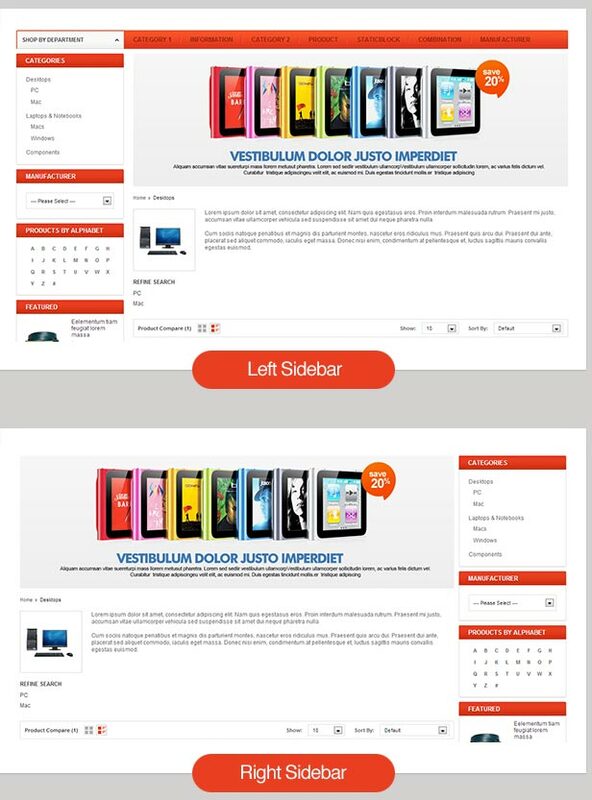 Effect of carouFredSel slider and corresponding label.